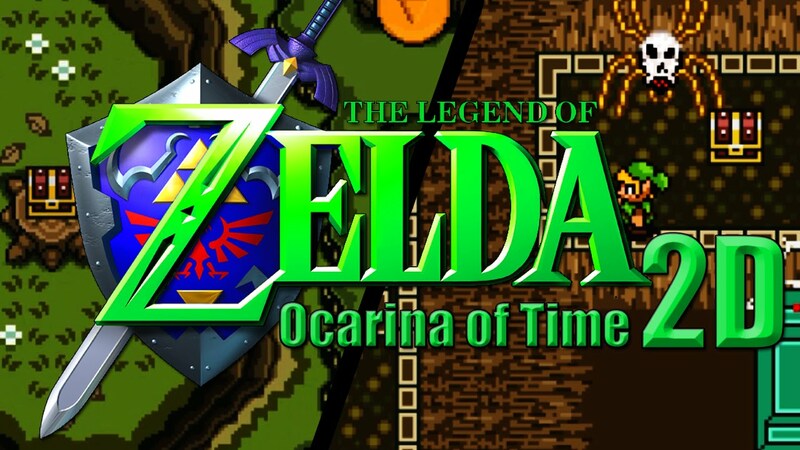 The year was 1998 and the game masters that is Nintendo gave us their latest installment in the Zelda series, Ocarina of Time and what a game it was. The story, the pace and the adventure, it was a true game, a defining game that set the mold for how videogames could be and should be. All these years later we still love this game, a love that was rewarded with an Ocarina of Time Master Quest released for the Gamecube back in 2002 and it also graced the Wii’s Virtual console in 2007 and the Wii U in 2015 and it would be so wrong to forget it also blew us away back in 2011 when Ocarina of Time 3D came out on the 3DS, in all its high def 3D graphics, as it was beautifully remastered, but what if I told you there was a 2D version in development? And no I’m not kidding, it is a thing and you can more about it from this very site, by the people who are making it, because unlike the other versions, this one is all fan made. Now you want a reason why this 2D version might of interest, well how about the fact that their video clips on youtube have received over 500,000 views and the game itself, still in development, has had over 100,000 downloads. That’s right you heard me, 100,000 downloads of people who just could not say no. Further more instead of continuing from a previous game that was in development by someone else, as many have already tried, they’ve started this from the very beginning, making everything from “scratch,” and recreating the Hyrule world of Ocarina, in complete 2D format, via use of sprites, which does give it a great A Link To The Past look. Admitted by them, making it in the fashion they are doing, is a slower process they do maintain complete control over everything and whether it takes say three years before its finished, trust me it is worth the wait, because just from everything I have seen so far, it is completely amazing and there is such a big and great team behind this, working together to fix bugs, update and better some of the levels and settings they have already done such as the Great Deku tree. It’s really hard to believe they are only at 15% but, it is mind-blowingly amazing and when their next update comes out, it only comes with an online multiplayer mode too.